Thad & Viet was such a adorable couple to work with. I can tell they are just crazy for each other and one word that always comes to my mind when I think about them is charming. They both are so charming and I had such a wonderful time working with them. Their ceremony took place at the Marston House at Balboa Park. I knew this venue was perfect for them, and it was exactly what Viet was looking for. A park that was charming, scenic, and has a lot of character. After the reception we had the guests shuttled to The US Grant Hotel for cocktails, dinner, and lots of dancing! Their wedding colors was ivory, peach, and pinks with some greenery accents to add that bit of whimsy. Sharon of Organic Elements did an amazing job with the florals, and these stunning pictures were captured by the very talented Marisa Holmes of Marisa Holmes Photography! Something that is very special about Viet is she is amazingly talented and a perfectionist! She handcrafted so many elements of her wedding, from the signage, the invitations, the ribbons wants, and programs. I was very impressed with how everything turned out! Thad & Viet thank you so much for having me be a part of your wedding! It truly was an absolute honor!WAE wishes you a lifetime of happiness! Also, lovelies! 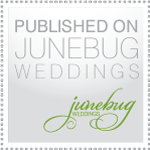 Don’t forget to “LIKE” us on Facebook so you can stay up to date with our weddings and what we are up to! Wynn Austin Events Facebook You can check out more pictures from Thad & Viet’s wedding in the album section.